More and more brands are building relationships with bloggers and providing a unique interactive experience. When brands recognize the significance of the blogger-reader relationship and influence, it is truly a beautiful thing. We're happy to report that Lane Bryant gets it! 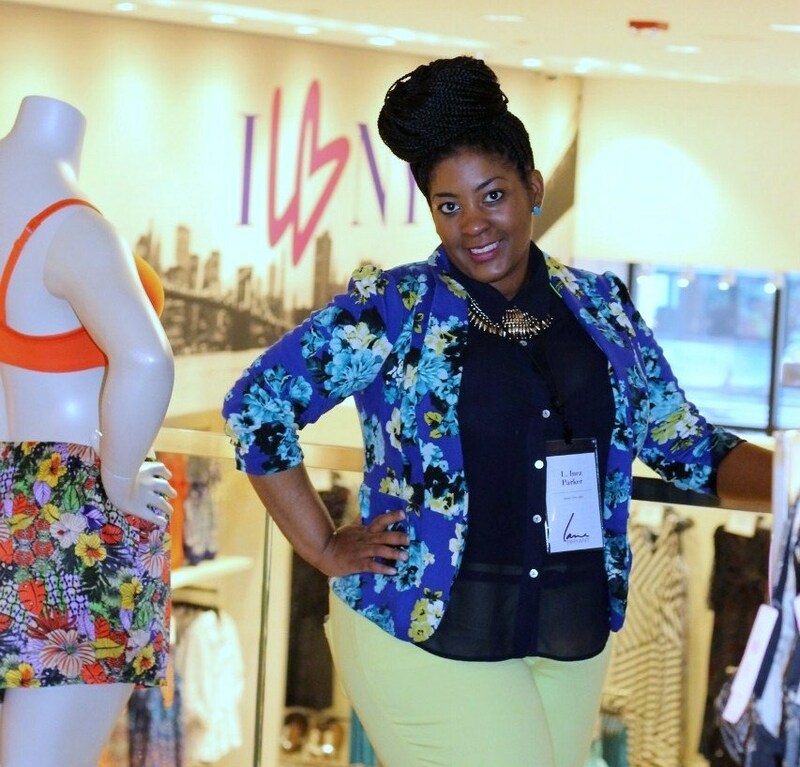 The Lane Bryant blogger conference given during FFFWeek was a sure treat. The conference started with a morning mingle that included breakfast for Two Men and an Appetite at new flagship store on 34th Street in NYC and concluded at the Affinia Manhattan with lunch and a preview of what's on the menu for fall. 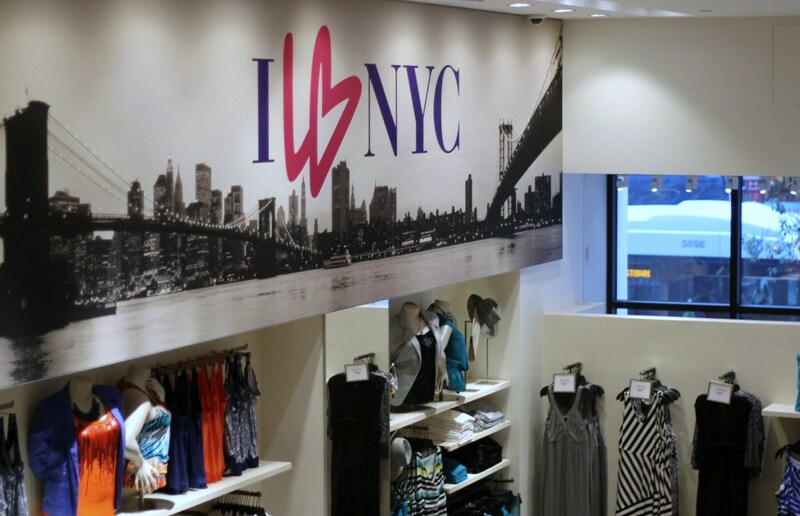 The bi-level flagship features eye catching displays of LB clothing and accessories on the first level. 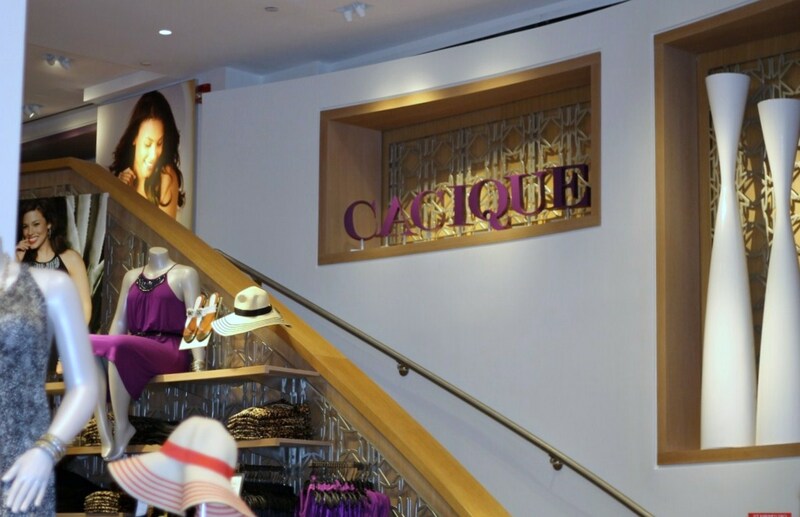 A grand staircase leads to the second level housed everything Cacique and the fitting rooms which have adjustable lighting for daylight, office or evening. 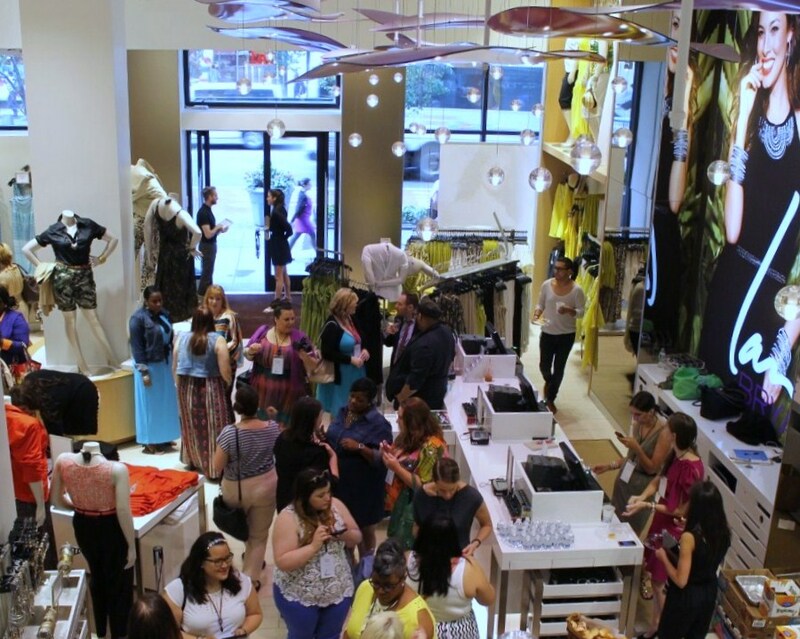 The design of the store is modern, clean and fresh providing a unique shopping experience for the curvy girl. Visiting NYC or in the area? Be sure to visit the flagship store located at 225 West 34th Street, New York, NY 10001, between 7th and 8th Ave.
Stay tuned for for the recap of part two tomorrow! To see more pictures of who I met and what I saw follow me on Instagram @stylechic360!